Good Receiver for 40/80 meter CW? eHam > eHam Forums > Boat Anchors > Good Receiver for 40/80 meter CW? I just might be hooked on this boatanchor stuff now that my DX-20 is working. But I need recommendations for a "relatively" cheap receiver for CW reception (I don't do phone). I currently have a Hallicrafters S-40B; I have used it for QSOs but it's not very selective or sensitive. I operate almost exclusively 80 and 40 CW, which rigs would be good for this? Do I really need dual conversion RX for these low bands? Hammarlund HQ-180 or -170 seems like more radio than I need, would a HQ-100/HQ-129/HQ-140 do fine? How about a Hallicrafters SX-100? Collins and Drake receivers are great, but I don't have $200 to spend, maybe $150 MAX, and I am not sure for ragchewing it needs to be THAT great an RX. You have my sympathies, I had an S40B when I was a novice back in 1954/55. It was OK for daytime on 80 but not good for anything beside getting a selective ear. I next went to a HRO-50T which was a great improvement and I saw one for sale last Sunday at a hamfest along with S40s and an S38. Nostalgia only goes so far and it doesn't cover the the S40. Unfortunately, the receivers of that era seem to get collectors prices. I recently got a 75A3 out of storage but I haven't been brave enough to turn it on. In case you think I'm equipment snob, I should say that I do have a K3 on order but only to use as a supplement to the FT-101E that I bought 34 years ago and am still using. I replaced the original tubes in the FT-101E two weeks ago. FT-101s are available cheap and, with a little work they can be made into a relatively decent rig. No, you don't need a dual conversion receiver for those bands. The HRO-50 that I mentioned was single conversion and it was pretty good up through 15 meters if you had the 15 meter bandspread coil. It's not about how many conversions or tubes the receiver has, but about the performance and features. 1) Good slow-tuning no-backlash tuning mechanism. I consider anything faster than 10 kHz per turn too fast, but your taste may vary. My homebrew stuff does about 5 kHz per turn. 2) Sharp 500-400 Hz CW filter with BFO offset of about 600-800 Hz and very good other-side-of-zero-beat rejection. 3) Good mechanical, thermal and electrical stability. 4) Good sensitivity (better than 1 uV). 5) RF gain control and defeatable AGC/AVC. 6) Good spurious and image rejection. And that's really about it. For CW things like AGC, an S-meter, ANL, passband tuning and other doo-dads aren't necessary. In fact, they can actually get in the way. The problem is that many low-cost BA receivers lack some of the above features. Those that have all of them are often top-of-the-line models that still command good prices. There's also the question of how much of a project you want to take on. As you learned from the DX-20, and older piece of gear may need work or may have undocumented mods and repairs, and the older it is, the more the chances of that. How much can you spend? Is there a particular vintage you want? How big/heavy is too big/heavy? You have an S-40, so you want something considerably better. The S-40 doesn't lack sensitivity on 80 and 40; you should be able to hear right down to the local site noise with it and a decent antenna. What the S-40 lacks is a good CW filter, mechanical stability, and a really good dial mechanism. Of the receivers you mention, the HQ-170 and the SX-100 are about the best - but good ones aren't cheap. For what you want to do, a Drake 2B with 2BQ is about as much. Did you see the bit I wrote about the BC-453/converter idea? Jim - Is there a link to what you wrote about the BC-453? My high school radio club had a few in a collection of WW2 surplus and they were considered prizes. I had one but it's long gone. I saw one such setup at last weekend's Boulder ARC ham fest that was being caressed lovingly by a person who collects them for the purpose, he said, of preserving the heritage. I was looking for one for parts for a IF dsp project and he gave me two of the IF transformers, one #4677 and one #4698; I don't remember which ones went where. This was the first time I saw a 453 since the 60s. They weren't big enough to be boat anchors! The BC-453 conversion tip is in the thread about fixing up my Heathkit DX-20. I don't mind fixing up the old rigs at all, that is the fun part (but I'm not too good at doing it!). Maybe some day I will do this, but it sounds like a bit more of a project that I am willing to bite off right now. The problem with the S-40B is the selectivity; one TINY touch of the bandspread and the station I am hearing is GONE. So I assume (for now) that any "common" BA that has Ham band calibration (HQ-100/110/140...) would be better than the S-40B? I think big and heavy is cool, and to be honest alot of what I am looking for is "cool" factor. The SX-99 looks cool, but from what I read its performance is not that different than an S-40B. Maybe selectivity is better? W5DC asks: "Is there a link to what you wrote about the BC-453?" It's a rather fancy version, using commercially-made coils in the converter and a 2 gang capacitor to tune them. I'd use homebrew coils and 2 different capacitors, plus a bigger chassis for the converter. I'd also put the power supply on its own chassis too. The article suggest crystals that optimize the old Novice subbands, but for today I'd use a 4050 crystal for 80 and a 7550 crystal for 40 to maximize image rejection on CW. If I couldn't find those, 4000 and 7500 would be OK. 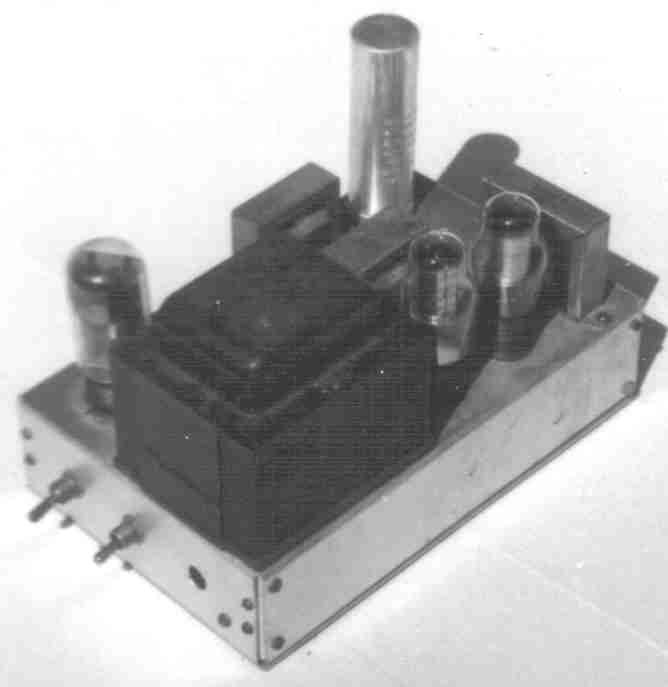 In QST for Oct 1949, page 29, there's "A Crystal-Controlled Plug-In Converter for the Q5-er" by John L. Steart, W6UJD, which is about the earliest version. 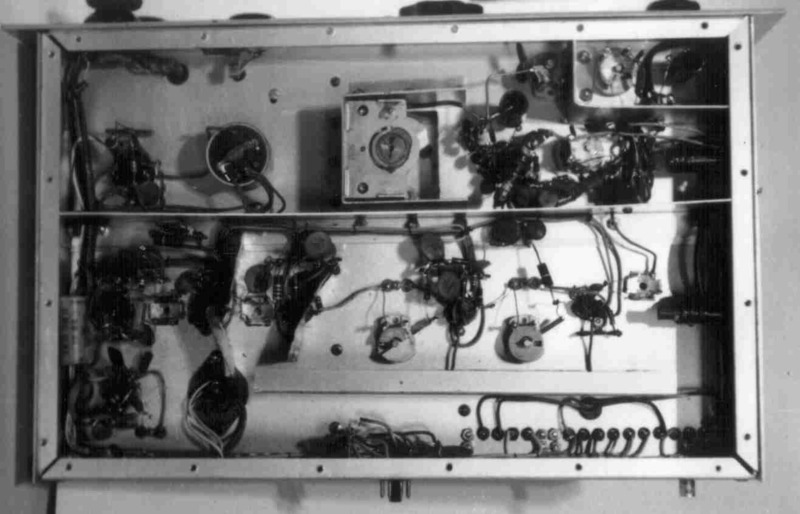 There was another implementation in CQ for January, 1960 that put everything on one big chassis. I have all of the above if you need them. But the idea is the main thing. W5DC: "My high school radio club had a few in a collection of WW2 surplus and they were considered prizes." BC-453s aren't rare, even today. Because they don't cover a ham band, they're not as highly priced, either. W5DC: "one #4677 and one #4698; I don't remember which ones went where." #4698 is the first IF transformer in a BC-453. #4677 is the third IF transformer in a BC-453 (the one that feeds the detector). W5DC: "This was the first time I saw a 453 since the 60s. They weren't big enough to be boat anchors!" They're around if you know where to look, I've seen them at hamfests and for sale online. They're not as cheap as they used to be (what is?) but they're still not expensive, particularly if they've been modified in typical ham fashion. And while they were small, they had six tubes and do a good job for their vintage. About the only weakness is that the 0.05 uf triple paper caps start to go bad after 60+ years. The absolute cheapest way to get one is to look around for a couple that have been hacked up and make one good receiver out of a couple of hangar queens. One more resource: The BAMA Mirror site (google it!) has manuals for many, many BA sets, including several military sets like the ARC-5. Free for the download, too. You can usually find a Drake 2B for under $150. Of course, if you also want the 2BQ speaker/Q multiplier and 100kc (khz) crystal oscillator you'll wind up spending more. But the basic receiver is really great - compact, stable, and selective. "The problem with the S-40B is the selectivity; one TINY touch of the bandspread and the station I am hearing is GONE." Paul - The problem you describe has nothing whatever to do with selectivity, but everything to do with tuning rate and stability. There are reasonably stable vintage receivers with decent tuning rates out there, but you'll have problems finding one that works in your price range. It's not the performance of these receivers that demands the current high prices, but rather their nostalgic value. In the 1960s and early 1970s before the nostalgia and "collectors" appeared, such receivers were available on the used market for prices FAR less than just a few years later. I've owned or worked on just about every boatanchor receiver, and even the cheapest kits available today (mostly from the QRP world) will outperform the average boatanchor on CW. For those old receivers that had a decent tuning rate and were reasonably stable, it was commonplace to use a good audio filter to provide increased selectivity for CW work. Such a filter was the first product from MFJ. I did a quick check of QTH.com classified ads and there is currently an HQ-170 listed there for $150. Although it wasn't the perfect receiver, it was good for its day and you wouldn't have to add anything to have a decent receiver - provided that you're able to fix whatever bugs that particular unit might have. K3STX: "The BC-453 conversion tip.... sounds like a bit more of a project that I am willing to bite off right now." OK, but at least take a look at the articles. I can send you some of the others that are even simpler. K3STX: "The problem with the S-40B is the selectivity; one TINY touch of the bandspread and the station I am hearing is GONE." As K8AC says, that's not a selectivity problem. It's a tuning-rate thing. In the bad old days it was common for even expensive receivers to tune very fast - lots of kHz per turn of the knob. The much-praised Collins 75A series were 100 kHz per knob turn (the 75A4 had an optional 25 kHz/turn knob accessory) and the famous National HRO series were typically about 50 kHz/turn with the bandspread coils. First, mechanical dial drives aren't inexpensive, and keeping cost down was a big deal. Second, in those old days when crystal control and hard-to-QSY self-controlled transmitters were the rule, it was standard amateur practice to work "split" practically all the time. A ham would call CQ and then tune around for replies - often covering the whole subband in the process. This requires a fast tuning rate and long calls, both of which were common in those days. There *were* some receivers with much slower tuning rates, but they were usually homebrew or models that weren't well known. 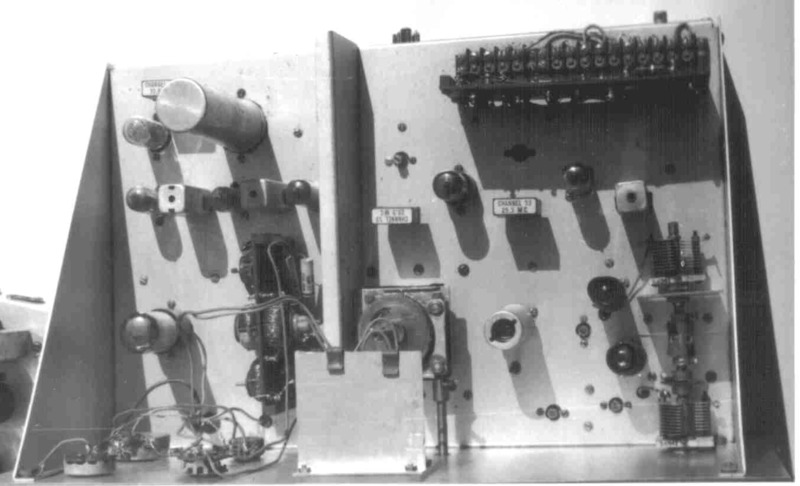 What changed it all was SSB and transceivers. When hams began to use SSB in considerable numbers, one of the biggest complaints was "how the ! @#$% do I tune it in?" Ham receivers with much slower tuning rates became desirable, and began to appear. The popularity of SSB and attempts to reduce its cost led to the amateur HF SSB transceiver which uses the same VFO for both rx and tx. This really gave SSB a boost with hams because not only did the cost come down but the problem of zero-beating disappeared. The result was that it became common HF amateur practice to transmit and receive on the same frequency for most QSOs (DX being the exception that proves the rule). 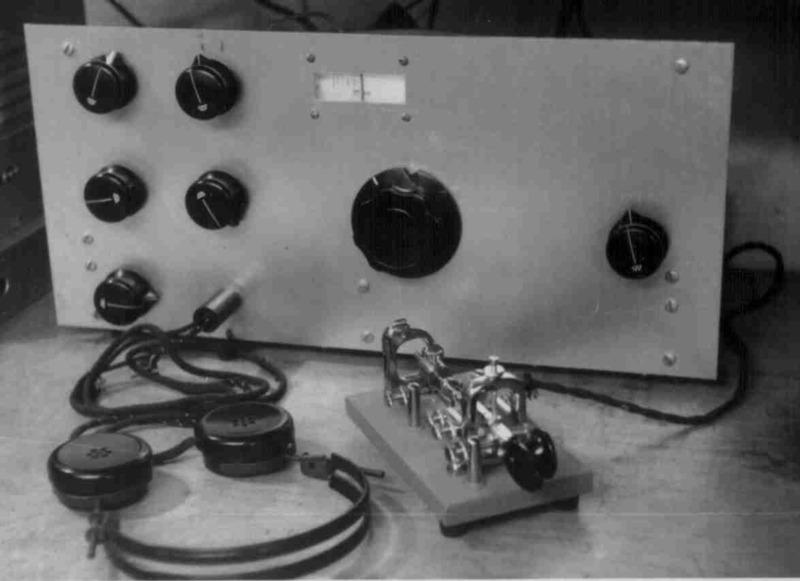 The final nail was driven when VFOs in HF ham rigs became mostly synthesized rather than mechanically tuned/LC types. 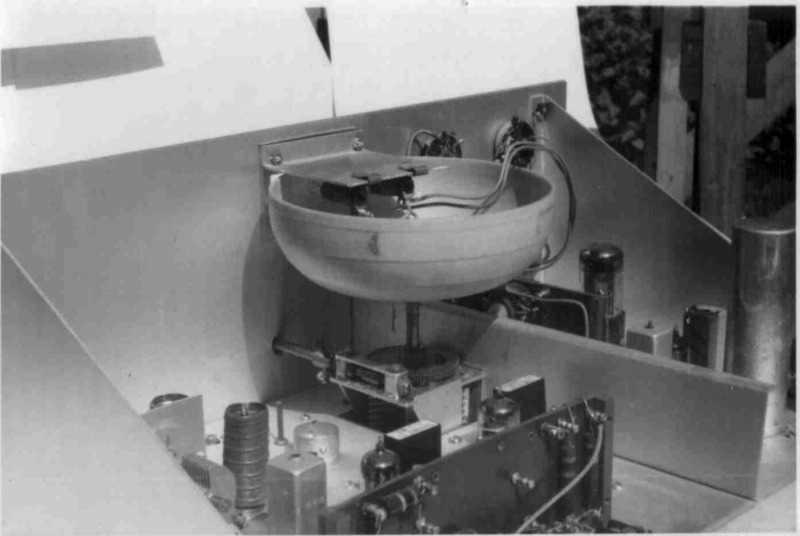 Tuning rate became a matter of an optical encoder, and tuning rates of less than 10 kHz became common. Your TS-850S is an example of such a rig - it's about the fourth generation of amateur HF SSB transceiver. K3STX: "So I assume (for now) that any "common" BA that has Ham band calibration (HQ-100/110/140...) would be better than the S-40B?" Do NOT assume that. For one thing, it depends on what you mean by "better". If you mean tuning rate, there may not be much difference. - original manuals which can be found on the BAMA mirror site and downloaded for free. Some are in the unusual .djvu format, which requires a reader, but many are PDF, GIF or JPG which are easily read. While reading about a receiver isn't the same as actually using one, it's a good start and you can cover a lot of ground. K3STX: "I think big and heavy is cool, and to be honest alot of what I am looking for is "cool" factor." K3STX: "The SX-99 looks cool, but from what I read its performance is not that different than an S-40B. Maybe selectivity is better?" I had one many years ago. It's an updated version, with a single-crystal filter, calibrated bandspread and a big S-meter. A decent rx for its time and price (I paid $40 for mine about 1970, new they were $150). The S-85 is an SX-99 without the crystal filter or S-meter. I don't recall the tuning rate; it was probably about 25-35 kHz/turn at best, if not faster. When I tried the BC-453/converter combo, I sold the SX-99 because there was just no comparison. The thing about a lot of BA receivers, particularly the less-expensive ones, is that they were a compromise meant to attract the largest possible market, rather than to do anything really well. CW performance was compromised in order to be able to receive 'phone, performance in the ham bands was compromised to provide general coverage, etc. And of course lots of things were compromised to keep cost down. If you really want a good basic 80/40 CW BA setup, get a Heath HW-16. Although most hams call it a transceiver, it's really not a transceiver in the modern sense. It's a receiver and transmitter in the same box with a common power supply. Transmitter frequency control is by crystals or external VFO. What's really neat about the HW-16 is that Heath put a pretty good CW-only receiver and only transmitter in a low-cost set that cost only a little more than many "beginner's" receivers. They did this by leaving out everything that wasn't needed for good CW performance. The result is a receiver that has no AGC, no S-meter, no ANL, and only covers the first 250 kHz of 80, 40 and 15 meters. But it has a 500 Hz filter, a decent dial and is quite stable. The transmitter section is 3 stages and can run up to 90 watts input. All of the HW-16s I have encountered were mediocre at best on 15 meters, but quite good on 80 and 40. About the only things fussy about them are the need for a 50 ohm antenna (the transmitter loading is fixed!) and the high cost of the matching HG-10 VFO. bandspread would cover the Novice band. There are some pretty good receivers that are cheap. The Drake 2B is good, as is a National NC-300 or NC-303. The SX117 is great. The oddest thing I found was a HQ-120. I went to a yard auction and found a SX115, Collins 75A3, and HQ-120X. Bought them all for $50 or so as a lot. Out of all three, the radio that astounded me was the HQ-120X. For some reason I just liked it, and it worked pretty well. Find a Darke 2B. If you get the Q-multiplier that's nice. But you do not need it. The rcvr has filter choices and if the one you get has a decent dial that's still smooth and failry linear you'll love it. The xtal calibrator is a great option but fairly hard to find. Not absolutely necessary; but good unless you're going 100% xtal on the xmtr and trust the accuracy of the xtals. Outboard xtal calib kits are fine and cheap and most use their own battery so they are "freestanding" -- don't even need internal connections. Or an outboard freq counter is a good way to go. If you'll be close to band edges you must know your xmt freq; and being able to hit a freq of choice is nice for routing calling CQ, etc. I have a DX-60 & 2B vintage station and have the time of my life with it on 40 CW. Well, I bought a Hallicrafters SX-71 today for only $65 at a Hamfest. It looked to be in excellent condition, and the three HQ-170s that were for sale were all over $200 (one $375). It was between the SX-71 and an SX-111 for the same price, I took the older-looking one. The guy told me it worked fine, was ALL original (even filter caps), and had been listening to it within the last 6 months. I could not resist; when I got home I plugged it in and it works pretty well on 40 CW. Now to replace electrolyics and get to work, but it is already lightyears ahead of the S40B, easy to tune in a SINGLE station.